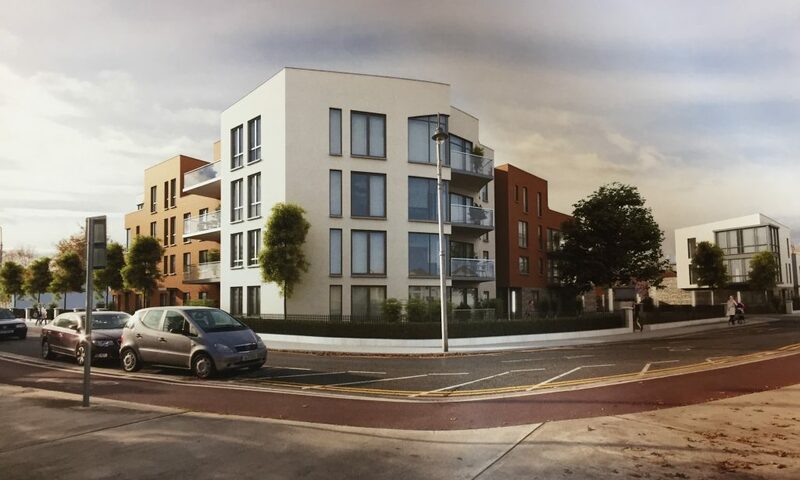 A developer has applied for planning permission for nine houses and forty-two apartments on a corner site in Blackrock. 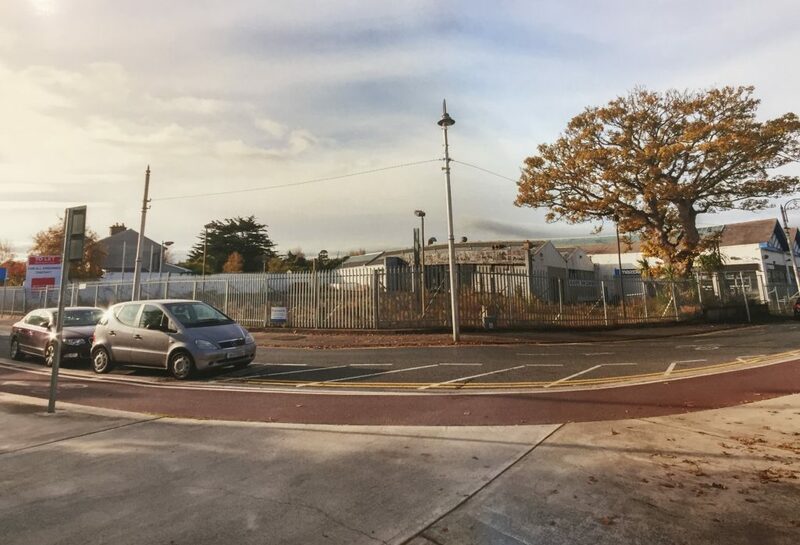 For more than ten years now, the former Mazda Europa garage in Blackrock village has been falling into dereliction. 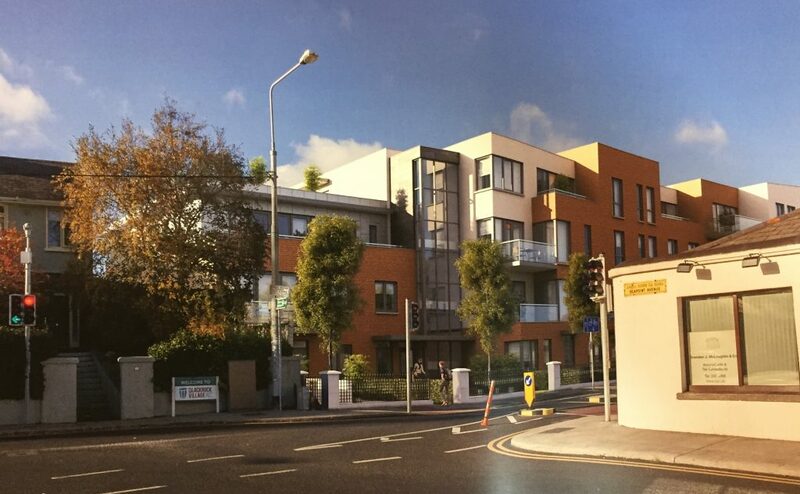 This is a prominent site of an acre and a quarter, that faces Blackrock House on Newtown Avenue. In 2005, MSL applied for permission for 69 apartments in two 5 and 6 storey blocks. They eventually got their permission but the financial crash put an end to the plans. Since then, the planning permission expired and the site has changed hands several times. 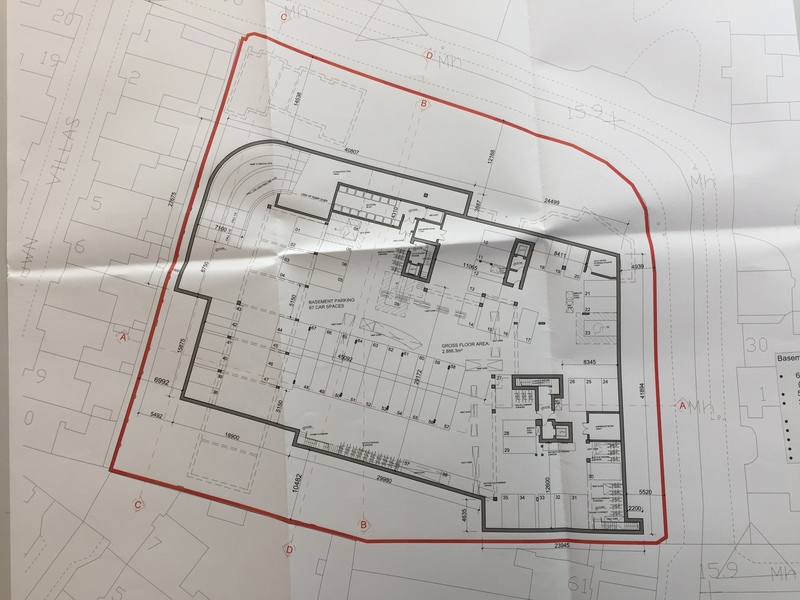 There have been two further failed attempts to obtain permission to redevelop the site for residential use. Now the owner has re-applied for permission and has tried to change the scheme to address the reasons for which the most recent plans were refused last year. In this article, I am going to examine the new plans. 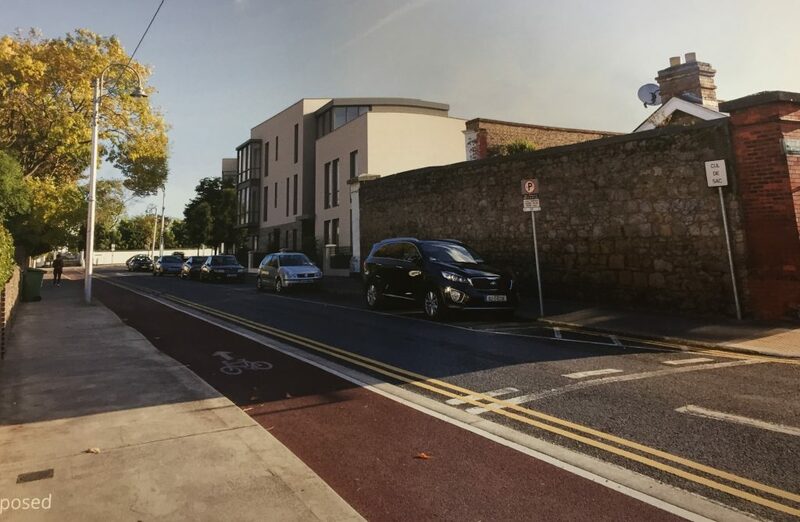 The 2015 scheme was rejected for being too large and overlooking or overshadowing houses in Newtown Villas (tramway cottages) and to the South on Newtown Avenue. The new plans propose a height of 4 storeys with stepping down to 3 storeys at the Southern boundary and along Newtown Villas. The proposed buildings are still very close to the rear of No.s 1 and 2 Newtown Villas and may loom over the garden of No 61 Newtown Avenue. The last scheme was rejected for being of poor quality design, too generic, and out of keeping with the neighbouring houses. The revised plans have tried to be less monotonous by using a mixture of surfaces ( brick and render), various sizes of windows, and by breaking up the streetscape with balconies, and alcoves. The exit from the last scheme was considered hazardous due to the pedestrian sightlines. The new scheme uses a relocated entrance. However the road outside is one-way and this proposal brings another 51 households to a road that is very congested at rush hour. The new scheme provides more open amenity space than previously proposed. All of the parking (67 spaces) is to be underground. 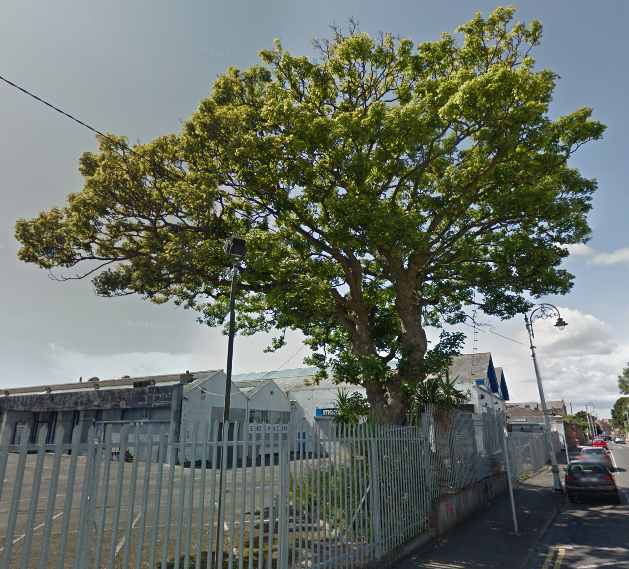 The sycamore tree is to be kept, while it is planned to demolish the old tram sheds with their blue-beamed gables. All in all, it looks to me like an improvement on what went before, but there’s nothing very special or remarkable about it. I’d prefer to see the historical tram sheds retained – they are something of a landmark but are not included in the architectural conservation area that covers neighbouring Newtown Villas. I will make a submission to the council planners on this proposal. Let me know what you think. Hi Ossian, I agree with you about the tram sheds at Europa and there they are …gone! Yes – this development is under construction. There will be a lot of excavation to be done to build the underground carpark and this may cause a lot of vibration and noise. As it stands, the site has been derelict for more than a decade and this development will improve the area. Newtown Villas are the cottages originally lived in by the tram workers. They have a beautiful character and are protected as they fall within an architectural conservation area. There is a close community on the street of people of different ages. There are great amenities in walking distance. Hello Ossian, I may be interested in one of the properties in the proposed new development. Can you tell me a couple of things if you can please: 1) What is the projected completion date of the development, or at least, when are the properties likely to be ready to move in to? 2) Can you give me some idea of the proposed purchase prices of the various properry types? 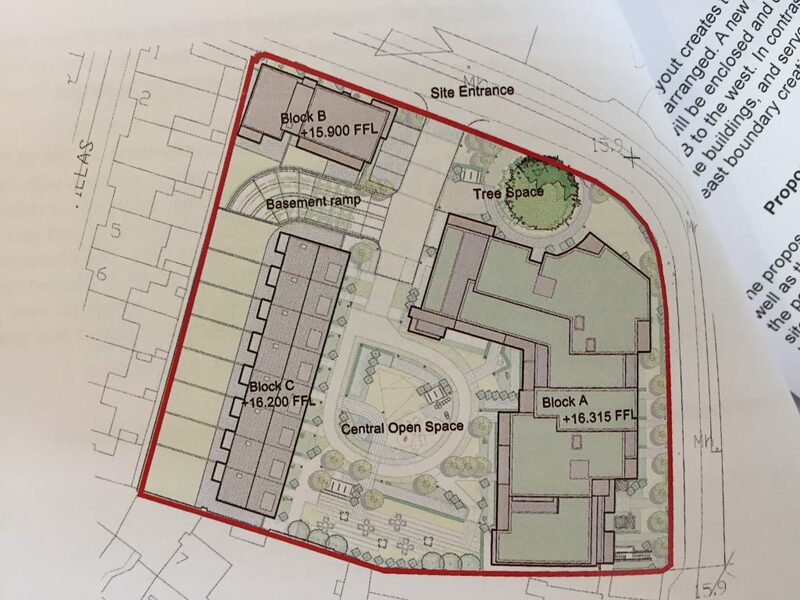 Just to note that Marlet has decided to sell this site along with planning permission for this development and the possibility of applying for a new scheme with twice the number of apartments. Will the council recive a percentage of apartments ? Ossian, I see the For Sale sign has been taken down. Would you know if there have been any developments? The council will be offered 10% of the apartments for the cost of construction (the land is free to the council). The agent is Cushman & Wakefield. I understand that they are still looking for bids to buy the site.